Halloween is only a couple of days away, but you’ve still got time to get the kids involved in some fun DIY projects! We’ve scoured the web for the best quick and easy child-friendly recipes and craft ideas – panic averted. Let us know if you try any of these out, we’re excited to try out the candy bark! 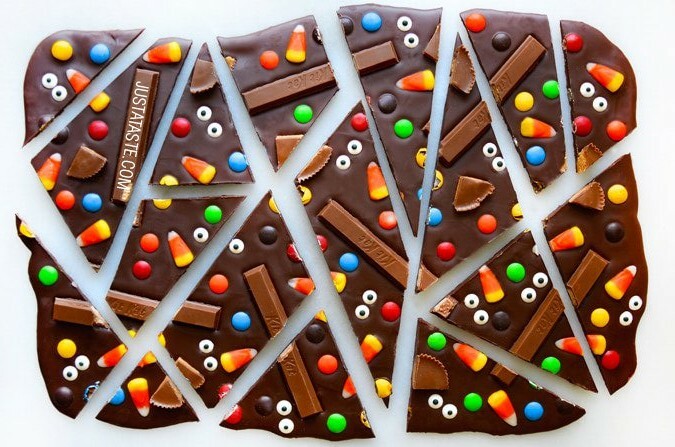 How fantastic does this halloween candy bark by Just a Taste look? It looks impressive but is brilliantly simple to make, and you’ve probably got the ingredients already in your cupboard. You could easily adapt it with whatever you’ve got at home. 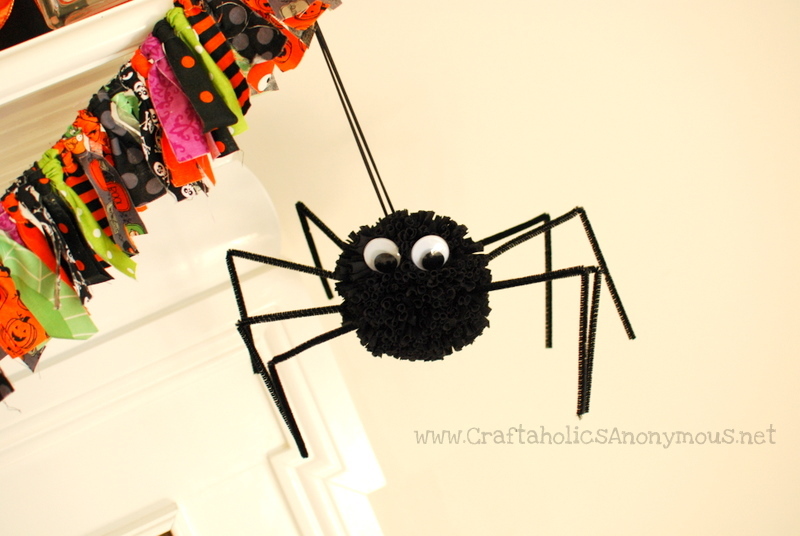 This adorable pom pom spider we found at Craftaholics Anonymous is the only spider we’d gladly have creeping around our house. How adorable do these mummy jars look? 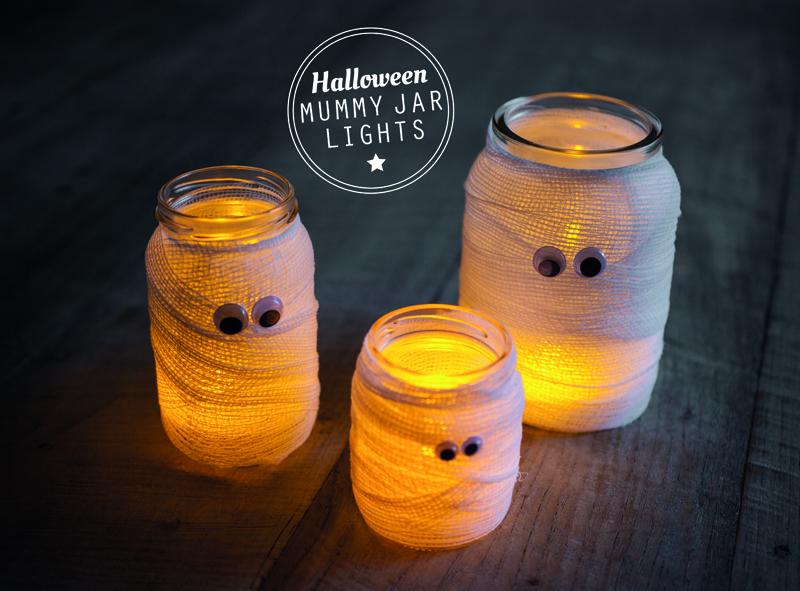 Created by the people at Lights 4 Fun, they are probably the least scary mummies we’ve ever seen but nonetheless, they make the perfect Halloween decor. 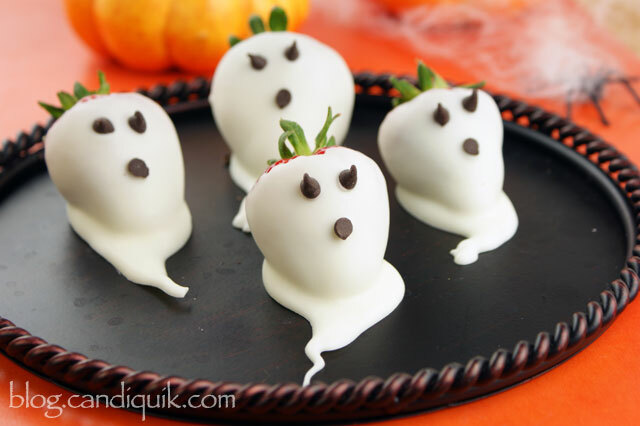 These strawberry ghosts are a devilishly delicious way to eat strawberries! You can find the instructions over at the Miss Candiquick blog.